Golf made a successful return to the Olympics, but what happens next? 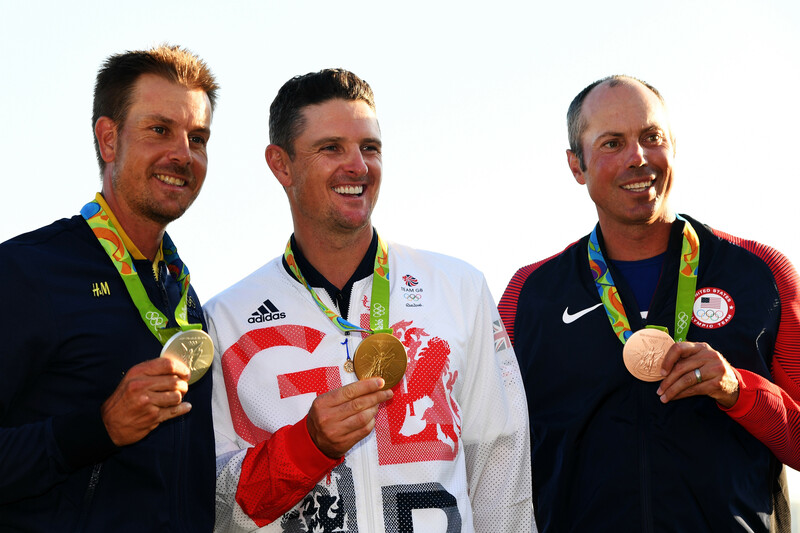 Justin Rose (center), Henrik Stenson (left), and Matt Kuchar show off their medals. A couple of weeks ago, an editor asked me for an article entitled ‘Does Golf Need the Olympics?’ and a small quantity of food and drink sprayed over my desk as I laughed at the thought of a sport that generates nearly $70billion a year for the US economy, and makes multi-millionaire superstars of its leading players, needing anything. No, of course golf didn’t need the Olympics. Had the question been ‘Do the Olympics need golf?’ the answer would have been much the same. No, the Olympics have done quite well without golf for 112 years, thank you very much. The two can exist separately quite happily. “Would golf benefit from being in the Olympics?’, or ‘Will golf last longer in the Olympics than 2020?’ might have been more interesting debates. The answer in both cases would probably have been a resounding ‘yes’, but each question would deserve at least a little more scrutiny. It’s hard to see how golf, indeed any sport, could suffer from being in the Olympics, though it’s similarly difficult at this stage to say how, and where, golf will benefit. Being an Olympic sport will likely have little or no impact in the nations that already have a long golfing heritage – UK, US, Ireland, Australia, Japan, Canada, etc., though countries relatively new to the game could possibly see a marked rise in interest in the coming years. The Olympics often do that – spur fascination, curiosity and wonder where there was none before. 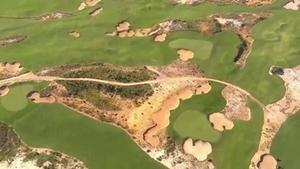 What surely won’t happen, however, is governments in developing nations spending large chunks of whatever wealth the country has to build dozens of public golf facilities so that one day it can celebrate an Olympic golf champion. A massive philosophical change would need to take place for that to occur. Golf is not regarded as a sport of the people anywhere in the world (except Scotland perhaps), and especially not in countries like China and India where it probably always will be considered a rich man’s game. What courses are built will therefore be developed by private money and reserved for prominent individuals. A talented youngster or two encouraged to pursue the game and fortunate enough to be given the opportunity – be it through a generous club member, or token (but barely adequate) school program – could conceivably make the grade, but he/she would spend their childhood and teenage years regarded as the weird loner who didn’t participate in soccer, basketball, baseball, cricket, or whatever else the kids on the street were playing. It will be very interesting to see what impact golf being in the Olympics has on the host nation. Brazil is the fifth largest country on the planet (roughly 12% smaller than the US, and 11% bigger than Australia), with a population of over 200 million. But there are only 100 or so golf courses, and somewhere between 15,000 and 20,000 golfers. It is very much a game for older, wealthier people. The Brazilian Golf Federation has been working with large Brazilian companies and sponsors this year to give 250,000 children the chance to experience golf, but who knows how successful this initiative will be when the kids discover they can’t afford the tools they need to play the game, and have nowhere to play it? Gil Hanse's Melbourne Sandbelt-like course was a huge hit. In Rio, the only public-access course is the Olympic venue itself – a layout many are saying will have gone to seed within a few years as the government struggles to afford its upkeep. But what does a successful return to the Olympics do for the status of the first prize? Where does Olympic Gold rank among the game’s other great trophies – the Claret Jug, the Green Jacket, the US Open Trophy, the Wanamaker Trophy - and how will it compare in the years to come? Will it usurp the Players Championship and become the fifth major the Players has always wanted to be, or could it surpass them all and become the most sought-after award in the game? That outcome is highly unlikely given the prestige and history of the four major championships, but remember we have no precedent (the last time golf was played in the Olympics prior to 2016 was 1904 when the world was a very different place) so who’s to say the gold medal won’t one day be considered more important? Only one man in golf’s history – Arnold Palmer – has decided which tournaments should become the majors - and even he didn’t so much decide them as suggest them. Will golf ever find as influential a player as he, and will golf’s Grand Slam events ever change? Will, in 30 years’ time, Justin Rose and the seven subsequent Olympic champions all say winning gold was the greatest moment of their careers? Again, if they have a major championship on their resumes it’s highly unlikely. But it’s not impossible. As for golf lasting beyond Tokyo in 2020, it’s safe to say what transpired in Rio seriously helped its cause. The right man won, and I don’t say that because I’m a Brit, but because an established elite player beat two more elite players, and showed how much it meant to him by clasping the Union Jack on his chest then saying all the right things in subsequent interviews. “It feels absolutely incredible,” he repeated again and again. “I've been so into it. I've been so up for it. I've been just so determined, I suppose, to represent Team GB as best as I could, and it was just the most magical week, it really was.” Sergio Garcia, Bubba Watson, Patrick Reed and numerous others also said how special it was for them to represent their country in the Olympics. How much better for the future of the event that a guy like Rose should win it, and say the things he did, rather than a less well recognized player or someone who didn’t appreciate the enormity of his achievement. Successful and suspenseful though the final day most assuredly was, I do believe the format could use a tweak before the world’s best (including the top four players in the world this time) convene at the Kasumigaseki Golf Club in four years’ time. Half an hour on Twitter will yield a dozen different proposals, most of them quite sensible – 36 holes of strokeplay to determine the top 32, then matchplay; round robin group play to identify top eight players, then matchplay – but some a little fanciful – 72-hole individual Stableford; fourball better ball matchplay, and so on. The individual competition should stay certainly, but a team event would be a great addition. Why not copy the World Cup’s format and combine both team members’ 72-hole scores to give you the team score? You would have both individual and team winners, and the format is easy to follow – the very last thing you want is potential viewers with no experience of golf wondering who’s winning and changing channels after becoming horribly confused. If you were reluctant to adopt that format because it’s already taken, why not try something similar to the system used in US collegiate golf, and take the best two scores from your team’s three players, or the best three from four? The track before golf reached its first Olympic hurdle in over a century was strewn with debris. But to many people’s surprise, it cleared the jump with some ease. And the momentum it gained in Rio should make the next hurdle a little less intimidating.